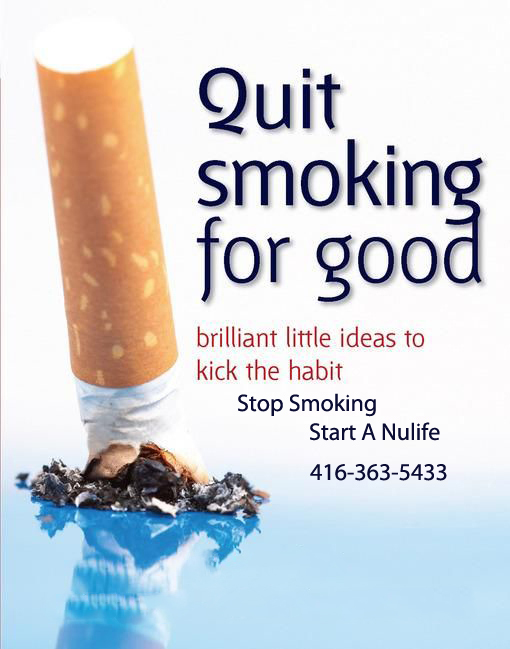 Laser Stop Smoking treatment in Oakville @ trafalgar & lakeshore. 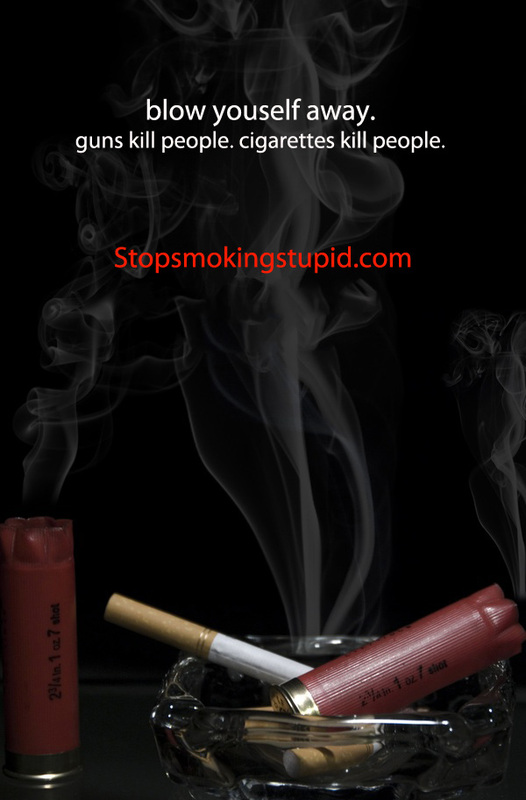 Quit Smoking for life. Quitting: Just a Question of Willpower? Please read what follows. You’ll see that willpower alone isn’t enough to quit smoking and to free yourself from tobacco and cigarettes once and for all. Why are there things that you REALLY want in life (“falling in love”, landing the right job, starting a family, choosing the car you drive, the house you buy, the clothes you wear, etc)? Obviously, it’s because you feel that experiencing those relationships or owning those things will contribute to, or are essential to, your well-being. And so, to get what you want, you’re ready to overcome problems, accept compromise, and even make sacrifices for a time. You’ll continue to work as hard as you need to until you get what you want. This is an example of WILLPOWER. As you can see, though, it all depends on A STRONG DESIRE for something. So you can say that your desire (and the reasons that sparked it) is what motivates you to act. In other words, this is your MOTIVATOR. Your willpower therefore depends on your motivation. The higher your motivation, the greater your will to overcome the obstacles you’ll meet along the way. Freeing yourself from tobacco and quitting smoking works in the same way! Start by forming your motivation, and willpower will follow! Because of your motivators, you’ll have the willpower to implement the methods that will allow you to reach your goal: to stop smoking. Quitting smoking is one of the best things you can do to improve your health and your life. You don’t have to wait long before good things happen! your blood when you smoke.) The oxygen level in your blood increases to normal. Within 48 hours, your chances of having a heart attack go down. Your sense of smell and taste get better. Within 72 hours, breathing is easier. Within 2 weeks to 3 months, blood circulation improves. Your lungs will work up to 30% better. Within 6 months, coughing, sinus congestion, tiredness and shortness of breath improve. Within 1 year, your risk of suffering a smoking related heart attack is cut in half. Within 10 years, the risk of dying from lung cancer is cut in half. Within 15 years, the risk of dying from a heart attack is equal to a person who never smoked. 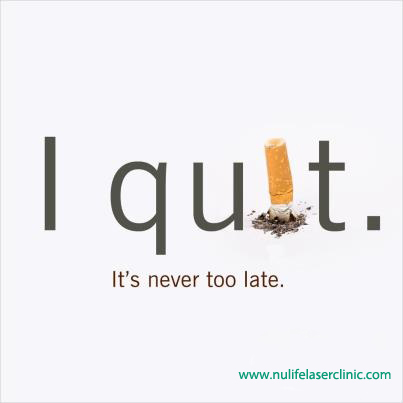 Nulife Laser Clinic has helped 1000`s of People top quit smoking..